And now I’ve got the very first collision reaction working, pushing on “walls”. 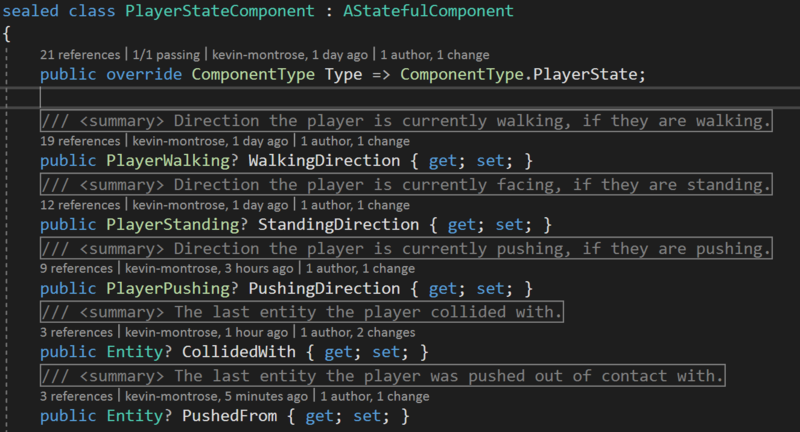 There was a bit of trickiness in keeping track of the “pushing”-state past the first frame, because the collision handling code will push objects out of collision with each other. There’s still some goofiness around the head animations, but that should be easy enough to fix. In the long term I’d like to get this logic modeled as a state machine – but for now I’m happy with it as is. I’m going to get the other directions working and then do some general clean up, after which I’ll decide on the next task to tackle. I’ve got all the different pushing directions working now. 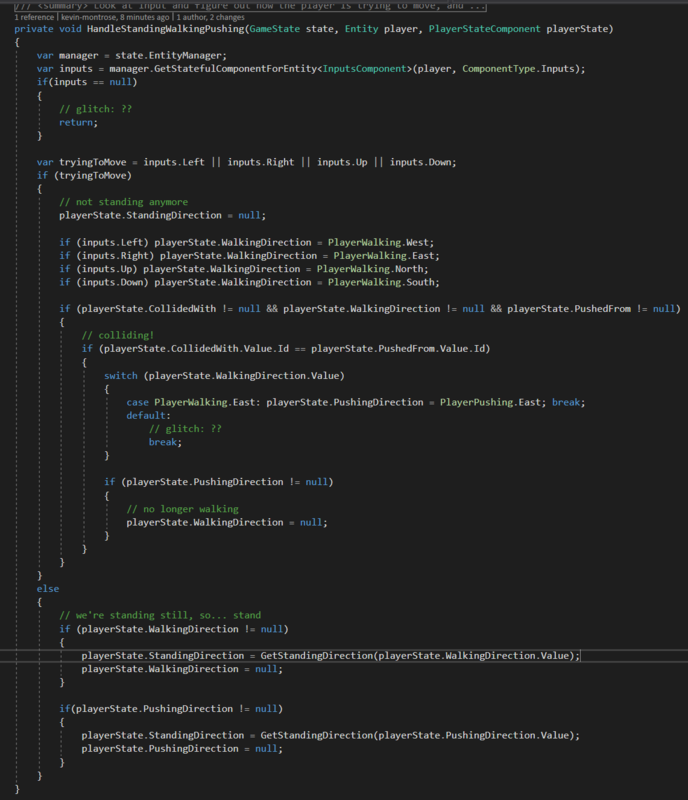 I’m going to do some cleanup on the player handling bits of code, I’ve got an entire separate system responsible for “gluing” the player pieces together and that feels like it should be part of the general player state handling system. I’ve also got very large lists of the different assets and animations in code, beginning to wonder if I shouldn’t automate their generation. So far I’ve collapsed things down to a single player controlling system, and done away with the notion of a “dimension” component (instead I’m always measuring an asset explicitly). Digging through the code, I also removed some custom enumerables and enumerations because I don’t think they’re worth the extra lines of code – even if they are conceptually nice.